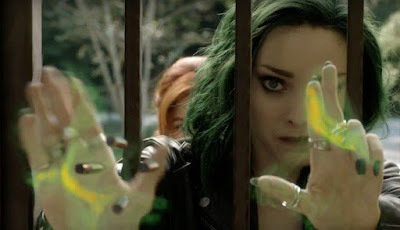 "A hard time is coming for mutants," teases the Season 2 trailer for The Gifted. Screened this weekend at San Diego Comic Con, the new trailer gives fans a glimpse of what's in store down the road six months after the destruction of the Atlanta Station. Are you excited for the return of The Gifted this Fall? It certainly looks as though the already impressive X-Men spinoff is looking to really up its game with Season 2, something we're sure fans will be eager to see. Starring Amy Acker, Stephen Moyer, Sean Teale, Jamie Chung, Emma Dumont, Blair Redford, Natalie Alyn Lind and Skyler Samuels, The Gifted returns September 25th on Fox.